12/23/2009 – Good news. Boosted by the world number one place of Magnus Carlsen, the Government of Norway has just released the sum of NOK 70 million ($12 million) to support the bid of Tromsø, an island city in the Arctic Circle, to host the 41st Chess Olympiad in 2014. It would be a great place for chess players to go, as we have shown in many past reports. 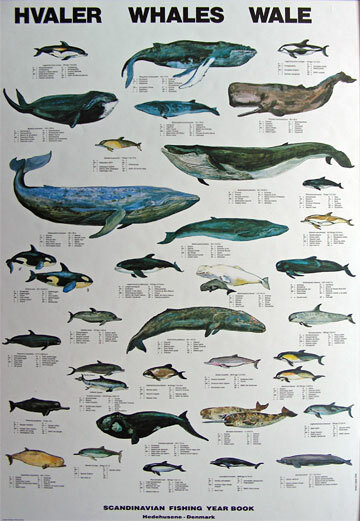 Today we add to these with a whale of a story. Former Vice President in FIDE and now international advisor for the Norwegian Bidding Committee, Mr. Morten Sand says: "The governmental support is very important. We are not sure which other countries will bid for the 2014 Chess Olympiad. Regardless of this, we will increase our efforts during the months to come, to make sure that the decision makers and the world of chess knows what Norway and the City of Tromsø has to offer – being elected as host for the 41st Chess Olympiad in 2014." For those of you who missed our previous articles on the subject (see links at the end of this report), here's a geographical rundown of the place that is bidding for the 2014 Chess Olympiad. Those of you who have read the articles can skip the intro and proceed to the new part about the whales. The Arctic Circle is one of the major circles of latitude, running 66.56° north of the Equator. It marks the southern extremity of the "polar day", which is when the sun is visible for 24 hours (usually referred to as the "midnight sun") at least once per year, and polar night, when the sun does not appear above the horizon for 24 hours. The midnight sun can be seen in summer for many days, weeks or months, depending on how far north of the arctic circle a place is located. The places where people can see the midnight sun are Alaska, northern Canada, Greenland, Iceland, northern Norway, Sweden, Finland, and some extremities of Russia. At Finland's northernmost point, the sun does not set for 73 days during summer. View Larger Map – zoom, pan, and choose map style. In Tromsø there are remains of settlement that go back to the end of the ice age. The first church was built in 1252, and in the 19th century it became a major centre for Arctic hunting. During World War II it served briefly as the seat of Norwegian government, and the German battleship Tirpitz was sunk off the Tromsø Island in 1944. Today there are over 100 nationalities in the town's population. A note on the name: in Europe it is known as "Tromsö", but the Norwegians pronounce it "Troom-sa", the first vowel as in "rook" and the second consisting of a special Norwegian schwa which is not easy to transcribe, describe or even vocalise. But these Nordic people are generous and will accept various pronunciations. Last year we visited the northern island city, invited by the organiser of the Arctic Chess Challenge Jan Sigmund Berglund, and spent a week full of the most interesting experiences in recent years. On this we reported extensively, in this pictorial report of our arrival (including the delivery of Magnus Carlsen back to his family), and this second report, describing some of the excursions we undertook in Tromsø. But there was a lot more, and the Tromsø archive is full of pictures that still await publication. We use the opportunity of the Christmas good tidings press release by our friend Børge Robertsen to revisit the island and show the participants of the 2014 Olympiad (hopefully) what is in store for them. but it gives you a feel for the size of the animal that is fast becoming an endangered species. 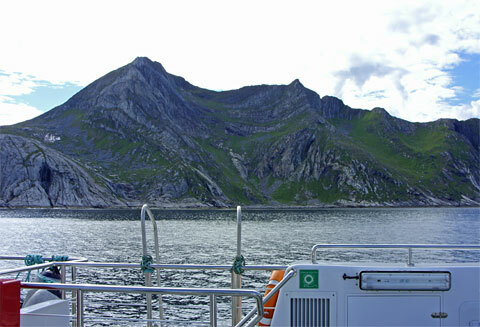 In The Hitchhiker's Guide to the Galaxy, Douglas Adams' seminal work of literature, the Megrathean designer of planets, Slartibartfast, confesses that the favourite part of the job was creating coastlines, the most notable of which were the fjords found on the coast of Norway on planet Earth. In fact he won an award for them. When Earth Mk. II was being made, Slartibartfast was assigned to the continent of Africa. He was unhappy about this, because he wanted to make more fjords (arguing that they give a continent a baroque feel), and fjords in Africa would be hard for him to explain without natural glacial movement. 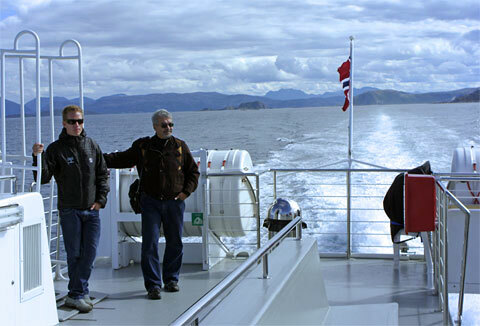 Finally we leave the fjords and head out to the open sea with Robertson and Friedel, On the whale watching ship they supply you with sea-sickness pills, which are a boon to the inexperienced voyager. 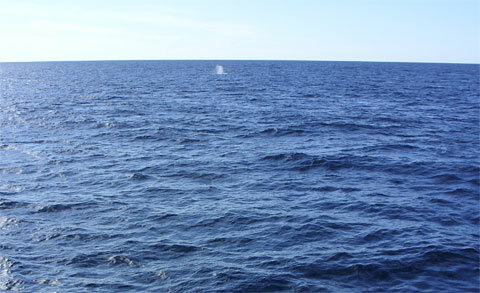 One thing this trip teaches you: whales are gigantic creatures, but the ocean itself is many orders of magnitude bigger, and the idea that you will be able to spot an animal, however large, seems quite impossible. Whales, however, have an evolutionary defect that has almost caused their extinction: when they surface to breath, the air they exhale is decompressed, which cools it and produces a mist of condensed water that is visible for miles. The whale watching ship cuts its engines and approaches a whale silently. 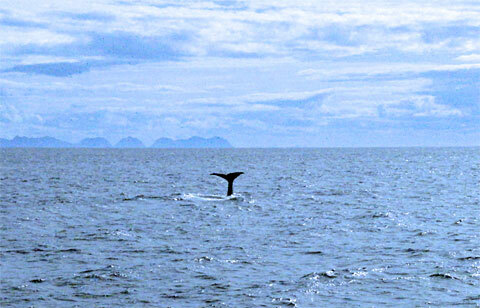 The whale will do a few small dives and blows (sigh: "for the tourists"). Sometimes you can get up really close. At some stage it takes a huge lunge out of the water and dives almost vertically into the waves. 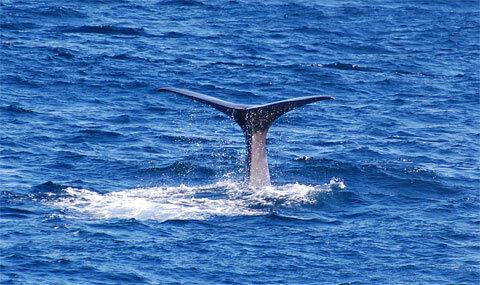 The last you see of it is the fluke or tail fins of the diving whale. 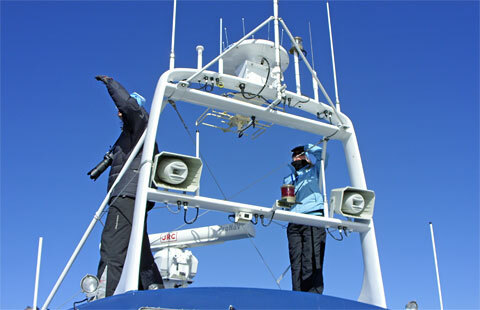 The fluke of the diving whale is a good-bye signal, and the captain of the whaling ship immediately restarts the engines to search for another whale. This one will be under of up to an hour. We are not proud of having partaken in a dish of whale meat – actually it was done solely to find out why people in places like Japan are so eager to keep butchering these magnificent animals. We have come up with the following solution to the problem: some whales, like the Minke and Pilot whales, have healthy populations, and so we should allow a certain number – e.g. 500 of each per year – to be hunted and used for specialist gourmet restaurants. Similarly the population of whaling ships has reached healthy proportions, so we should allow a certain number – e.g. twelve per year – to be torpedoed and sunk. The culling of whaling ships could be left to third-world countries who would get an opportunity to practice naval warfare while fulfilling an important service to nature and conservation. 20.08.2009 – Grandmaster Monika Socko is from Poland, married to Polish GM Bartoz Socko, who is two hundred points higher than her on the FIDE scale. Still, Monika finished first in the Arctic Chess Challenge in Tromsø, with 7.0/9 and a rating performance of 2639, while her husband came 13th, a full point behind her. Son Szymon also played. Misha Savinov spoke to the winner. 13.08.2009 – The Arctic Chess Challenge in Tromsø ended last Sunday, with four players sharing the top score of 7.0/9 points. One of them, a 14-year-old lad, stood to make a GM norm. But to do so Ray Robson had to hold the Swedish Champion GM Emanuel Berg to a draw in the final round, with the black pieces. To compound matters Berg was desperate to win. Pictorial report by Misha Savinov. 08.08.2009 – Make no mistake, it is GM Monika Socko, not her top-rated husband Bartosz, who is leading the Arctic Challenge with 6.0/7 and a 2703 performance. No less sensational is that 14-year-old IM Ray Robson is sharing first with a 2679 performance. The action is exciting ("hammer time") and the landscape lovely in the land of the midnight sun. Big illustrated report by Misha Savinov. 06.08.2009 – At the Arctic Chess Challenge in Tromsø 120 players are competing in the year’s most prestigious Norwegian event. After five of nine rounds there are four players in the lead. Three are GMs, one a female, but the fourth is of particular interest: 14-year-old US American IM Ray Robson, whom some people are calling the new Bobby Fischer. Pictorial report by IM Torstein Bae. 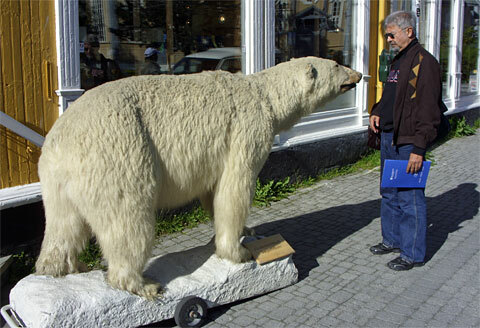 02.08.2009 – The Arctic Chess Challenge in Tromsø is this year’s most prestigious event in Norway. More than 35 titled players are taking part, including 13 GMs. Top seed is Polish GM Bartosz Socko, rated 2656, with three more super-GMs just below him. The tournament is truly an international open: the 118 participants hail from 26 countries, and from all parts of the world. Pictorial report. 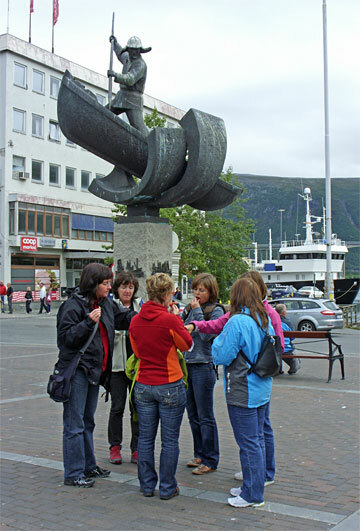 22.07.2009 – The city of Tromsø, located within the Arctic Circle in Norway, has become a hot-bed of chess. Not only is Tromsø bidding for the Chess Olympiad 2014 – every year they stage a very attractive chess tournament in this beautiful location. This year the Arctic Challenge will be staged from August 1st to 9th, with 132 entries and lots of title holders – an ideal opportunity to make norms. 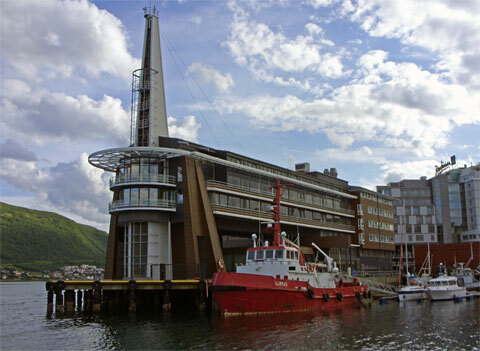 Tromsø – a Chess Olympiad in the midnight sun? 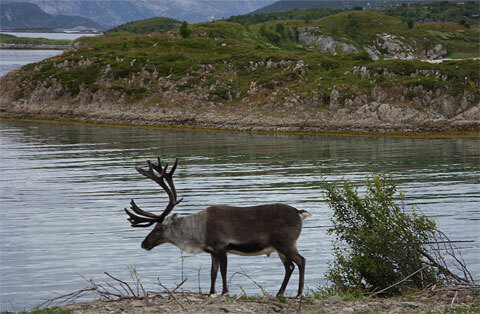 18.11.2008 – It lies well within the Arctic Circle and has a history of chess activity. 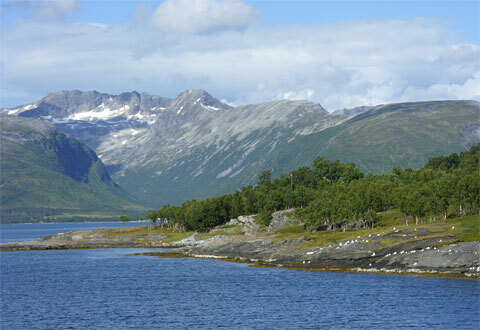 Now the city of Tromsø is bidding to host the 2014 Chess Olympiad in one of the most attractive regions of Europe. A full presentation is being made at the Olympiad in Dresden. We visited the city this summer and support their bid with some WYSIWYG evidence of why it is ideally suited for an Olympiad. Photo report. 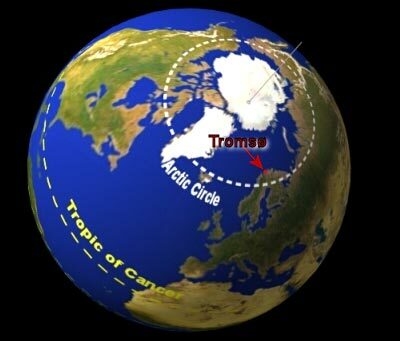 18.08.2008 – For the third time the Tromsø Chess Club staged an International Open in the Arctic Circle. 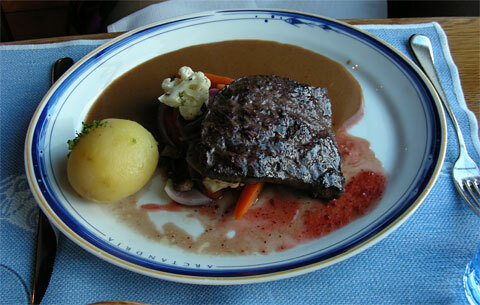 It ran from August 2nd to 10th 2008, with sky high prizes, by Norwegian standards (total prize fund 11,000 Euros). The venue is spectacular, the atmosphere warm and generous. And the place is full of Carlsens: Magnus, Henrik, Sigrun, Ellen, Ingrid and Signe. Part one of our big pictorial report. 12.08.2007 – In the end it was a super-GM who took the unshared first place in the Tromsø Midnight Sun tournament: Alexander Moiseenko of the Ukraine scored 7.5/9 to overtake the long-time leader, "Mr Sunshine" Kjetil Lie, who had beaten him in round four. Top seed Magnus Carlsen recovered from a poor start to share 2-4. Like his parents we expect Magnus to scale the Store Blåmannen. 10.08.2007 – That is hardly a surprise, since the 16-year-old is over six hundred points stronger than his first teacher. But then again Henrik Carlsen has grounding powers... After seven rounds of the Arctic Chess Challenge in Tromsø it is Norwegian GM Kjetil A. Lie who is in the lead, with 5.5 points, followed by four players with 5.0 points each. Report with pictures and videos. 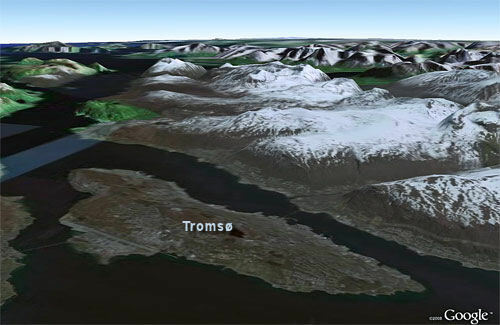 07.08.2007 – The Norwegian island town of Tromsø lies well within the Arctic Circle, which means that this time of the year the sun never sets. 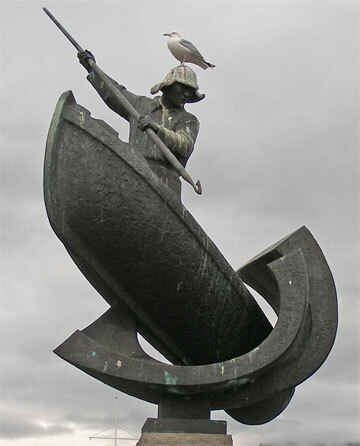 Tromsø is playing host to a strong GM tournament from August 4th-12th, 2007. Top seed is Magnus Carlsen, who rushed in from his victory in Biel and did not have a great start here (3.0/4, place ten). Two other GMs, Macieja and Lie, lead with 4.0/4. Round four report. 03.07.2006 – The Midnight Sun Chess Challenge in Tromsø, Norway, was won by Russian GM Sergei Shipov, who scored 7.5 points in nine rounds. Second was fifteen-year-old Magnus Carlsen with 7.0, who beat Leif Erland Johannessen on tiebreak points. 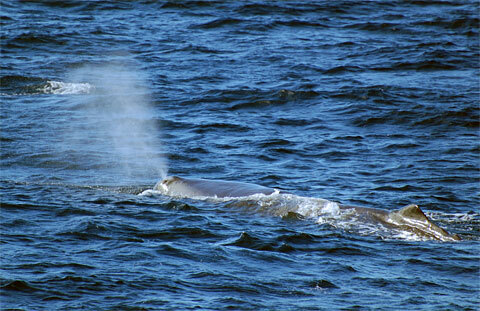 We bring you a final report with pictures from Whale's Island. 28.06.2006 – A fifteen-year-old super-grandmaster, blessed with an Elo of 2646, is leading the Midnight Sun Chess Challenge in Tromsø. Magnus Carlsen of Norway looks set to break a few new records with the form that he is showing these days. 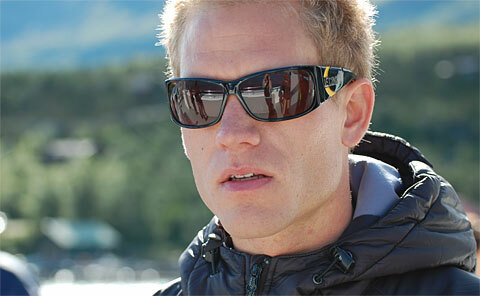 The event is being held well within the Arctic Circle, where at this time of year the nights are bright as day. Misha Savinov reports. 26.06.2006 – There are parts in the world where, during a certain period of the year, the sun never sets. The northern Norwegian town of Tromsø, which lies well within the Arctic Circle, is one such place. From June 24th to July 2nd, in the middle of the midnight sun period, it is holding chess festival with GMs like Krasenkow and Magnus Carlsen. Big illustrated report.